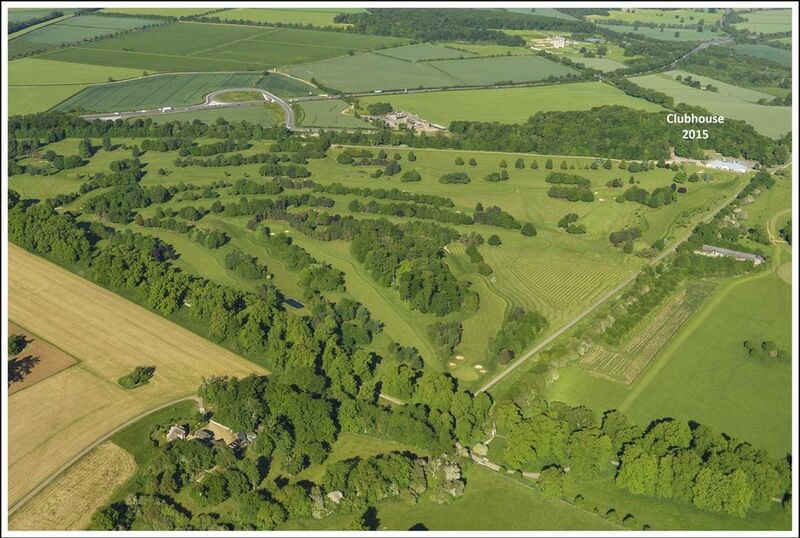 Lancelot 'Capability' Brown’s knowledge of drainage and soil types was one of his outstanding attributes. 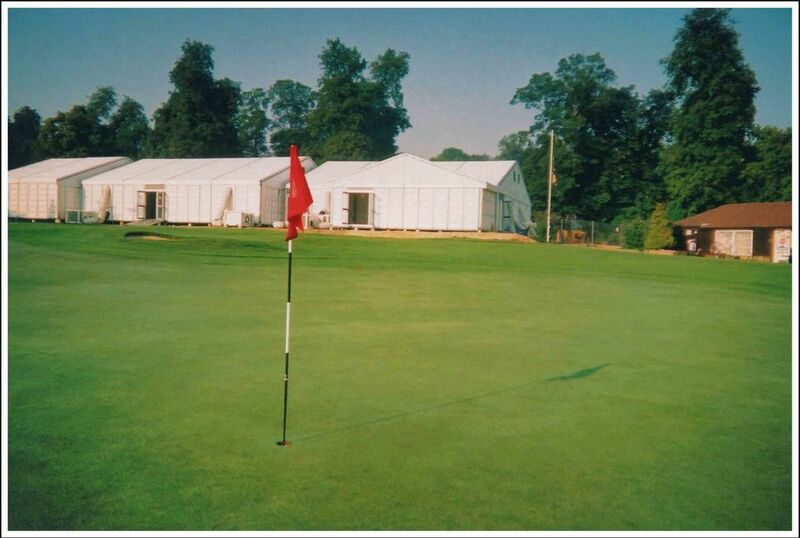 This was employed to great use in the designing of the early Burghley Park Golf Club. 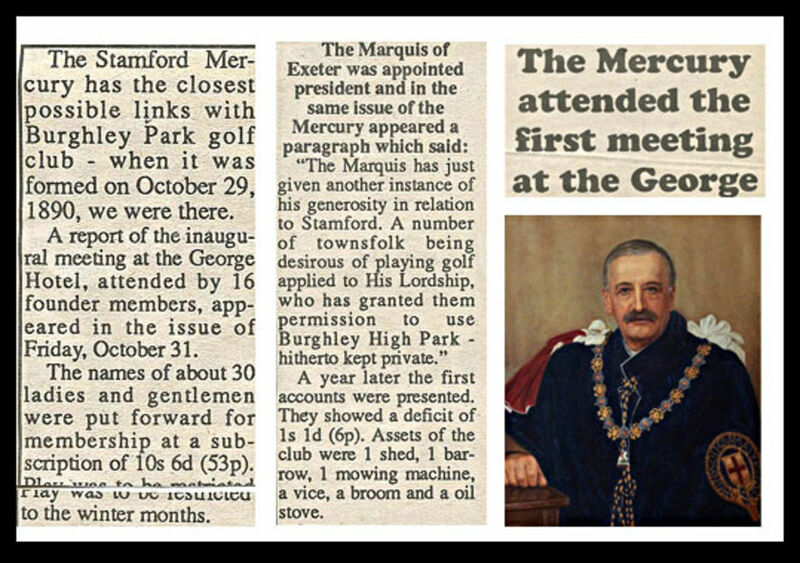 A meeting at the George Hotel in Stamford on October 29 1890 saw the formation of the first Committee, and an annual subscription to the club was set at 10 shillings and sixpence. At the launch the club had 30 members. Shortly afterwards George Smith was appointed as Club Professional at a weekly wage of 12 shillings, and he earned further payments from club members for lessons. As the century turned, the club began to take shape. The location moved from Waterloo Plain in Burghley Park to High Park, as the Marquis wanted the original location back for haymaking! The club then hired a room at the farmhouse close to the first tee to provide more facilities for the members. Bogey score for the course was fixed at 72. Negotiations were finally successful, though, and the Cricket Club contributed £3, 4 shillings and sixpence to help fund the horse. Persimmon died in 1910, was buried on the course and is still there today; the round stone between the first and ninth fairways marks his final resting place. The club continued its progress at the start of its third decade. It held a number of competitions offering the coveted prize of a spoon, and continued to refine the club’s rules. One of these was to agree that stopping for tea or taking shelter from the weather should not result in disqualification of players. 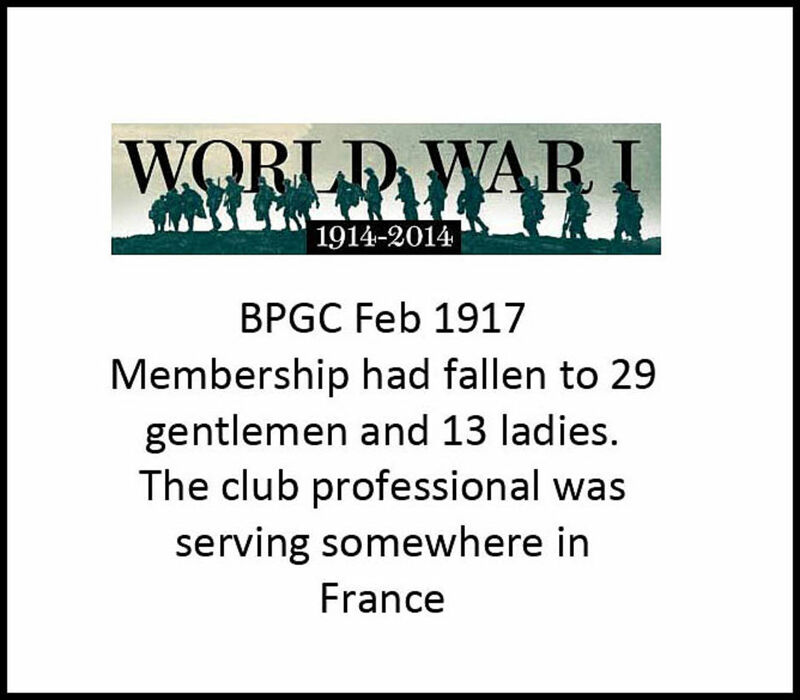 The report confirms that more members had joined the British Forces during the year, including “Corporal Hissey having paid the greatest price of all and lies in a hero’s grave somewhere in France.” The Chairman, Mr A Cade, was “doing his bit and doing it well somewhere in the Near East”, while the club professional was serving somewhere in France. The Secretary had sent him some cigarettes and conveyed good wishes for his speedy return. The need for a clubhouse continued to be a priority for the committee but, with a new hut costing £50, considered too expensive. 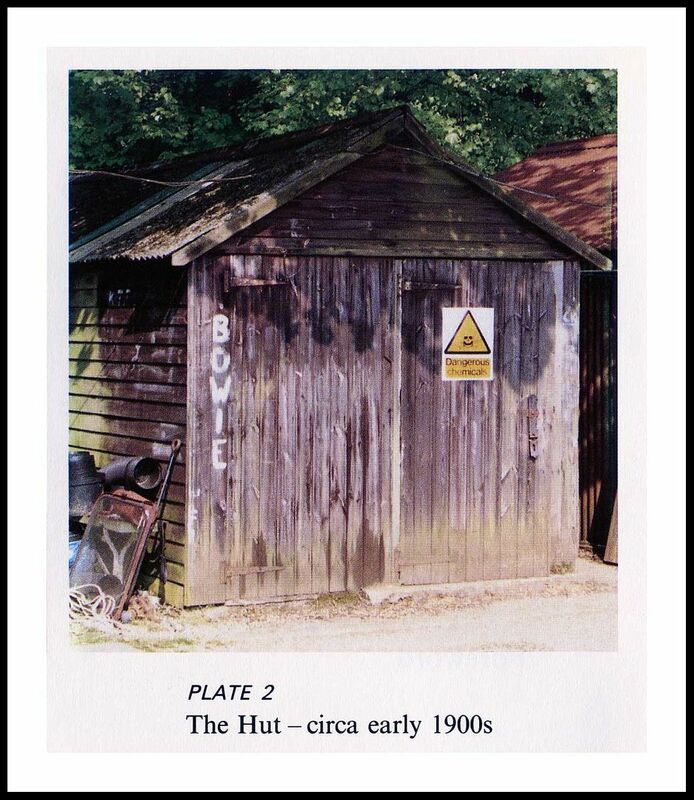 Huts at Easton Aerodrome were being sold off and were inspected by the committee for potential purchase, but this again was felt to be a pricey option. At some point in the decade a decision was finally made, and a clubhouse was built, although the details are not clear from the records. It does seem that at one point an old brewery was mooted as a potential option! Meanwhile a further focus was placed on club rules. 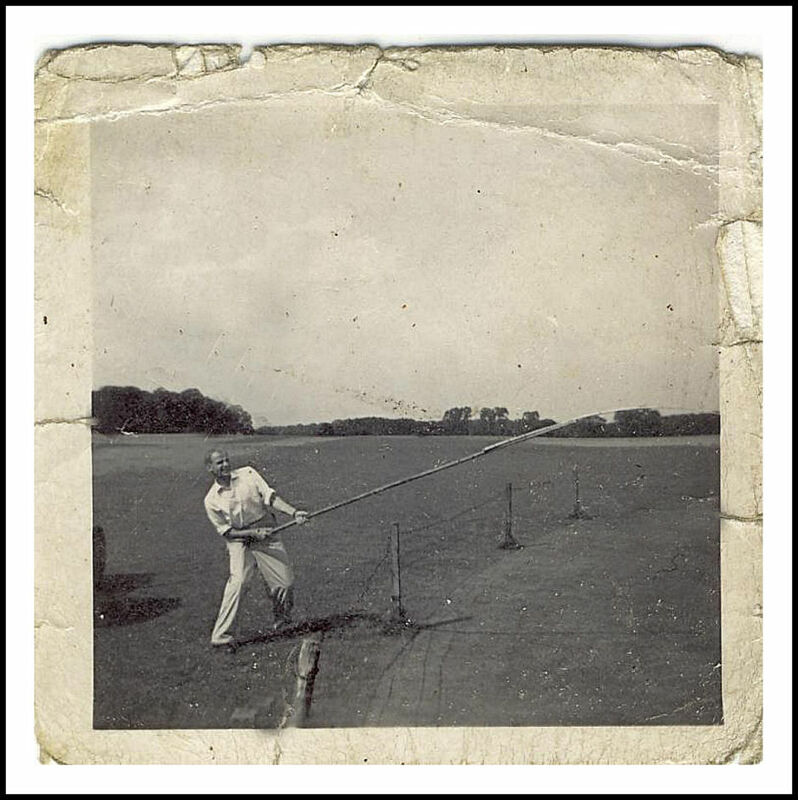 It seems that Burghley Park was by now a major sporting venue, with croquet, cricket, polo, hockey and golf all taking place in the grounds. This gave rise to an unusual rule for the club – that a penalty shot be given for striking the back side of the Polo Club Boards. Players could also have the option of a drop without penalty within three club lengths if their ball came to rest within three club lengths of these same boards. 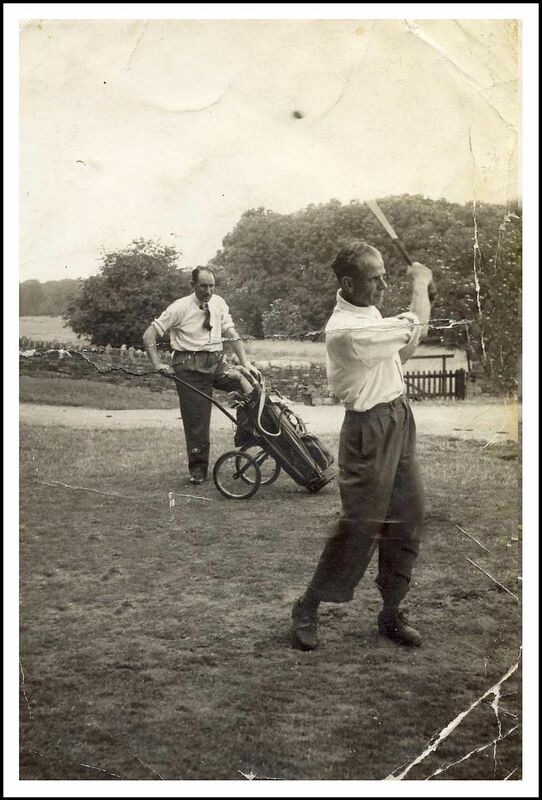 To address various members’ concerns about the condition and upkeep of the course, a groundsman was appointed at the rate of 35 shillings per week. He worked from 8am-5pm and was required to work on a Sunday morning to prepare for the afternoon’s play. Stamford airfield was established in 1916 on Wittering Heath as a Royal Flying Corps base and by 1926 RAF Wittering were invited to join the club and a match was arranged. 1927 saw the club reduce subscriptions in a bid to attract new members, backed up by advertising in the local papers. Non-payment was increasingly an issue, but interestingly, there were no consequences for members that didn’t pay their fees. An interesting aspect of this decade was the increasing range of Stamford venues used for committee meetings. The George and the Coffee Tavern on Broad Street had been regular sites in the past, but now these expanded to include the town hall, police station, Central Cinema and Number 4 High Street as well as the golf hut itself. The viability of the club continued to be an issue, as non-payment of subscriptions escalated. The Treasurer announced his intention to resign because of the problem. He was asked to reconsider, and the committee members present ended up funding a loan to the club from their own pockets. Further funds were raised by reducing the wages of the groundsman – while increasing his hours of work! By extending play to Sunday evenings with the permission of Lord Exeter, expelling defaulters from the Club and approaching members for loans, the club’s financial situation was improved. The groundsman also gained a cut of the green fees, creating greater stability all round. In March 1935 a Catering Committee was established to supervise the serving of refreshments and the cleaning of the club house. A waitress, Miss Twissell, from the Windmill Inn at Duddington was employed at a wage of 10 shillings per week. Meanwhile an advertisement for a ‘strong country boy’ resulted in the appointment of Aubrey Burbage, age 14, from Wittering who worked every day from 8.30am to 5.00pm. Towards the end of the decade the impact of the Second World War was beginning to be seen. The Secretary reported that ten school teachers from Nottingham, who had been sent with evacuated children, wished to join the club as temporary members. In 1940 the club lost the services of its Groundsman, Mr Bryan and the Captain of the club, when both were called up by the Army. The club increasingly suffered financially during the war years and in 1942 at the Annual General Meeting it was proposed to close the club for the duration of the war. It was finally agreed to keep nine holes in a playable condition and all older members be asked to contribute to the upkeep until ‘better times’. 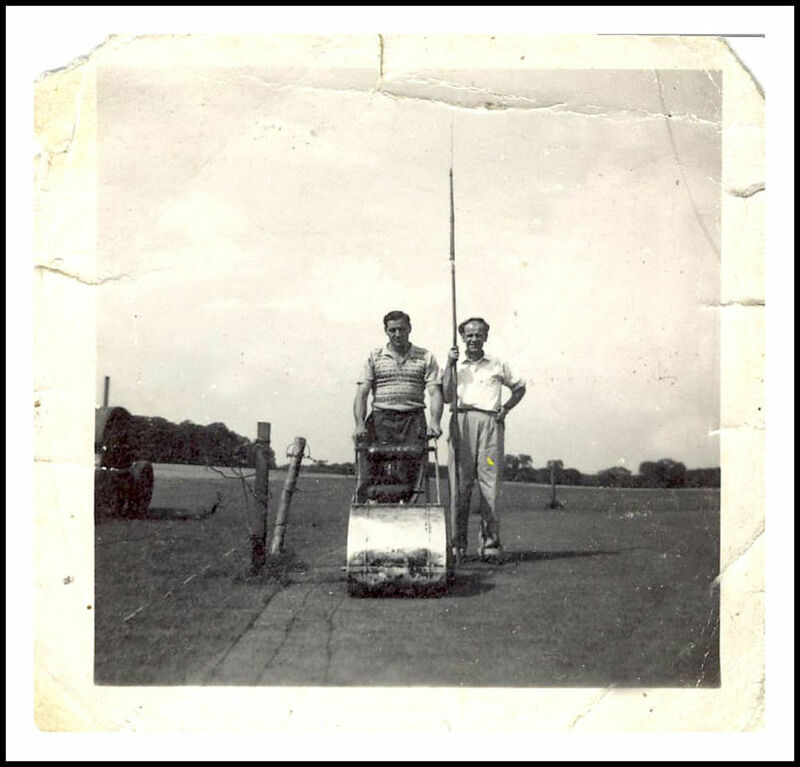 The war saw the creation of an aircraft runway within Burghley Park, which stretched from the entrance of the chicken farm, over the first fairway to the 10th green, towards the 14th and 15th fairways and onto the 13th green. The depression seen today on the left of the 15th fairway was thought to be the result of an emergency landing, but has since been confirmed as a natural hollow. There were, however, three air crashes in the park during the war. On April 3rd 1941 both crew members of a Beaufighter from 25 Squadron were killed when their plane crashed, as did the pilot of a Westland Whirlwind of 264 Squadron just three weeks later. The third crash was another Beaufighter, this time from 141 Squadron, where two crew members lost their lives in May 1943. One of these incidents caused indentations on the right hand side of the fifth fairway. The club reopened its doors in the autumn of 1945 and swiftly bought a tractor and built a garage to house this and other machinery. Mr Bryan was reappointed as groundsman, and the membership swelled to 40 gentlemen and 30 ladies. The club also installed its first telephone. Meeting records from 1947 highlight that two prisoners of war continued to work on the grounds, and it was agreed that they would be paid through the provision of meals and cigarettes. 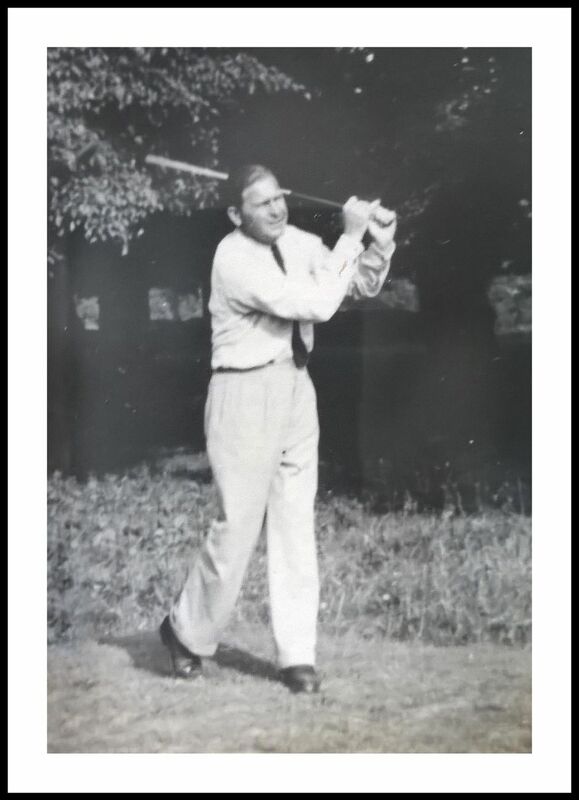 Course improvements were made under the supervision of a Mr Barford, who was invited to drive off the first ball when the new course opened on June 1, 1947. 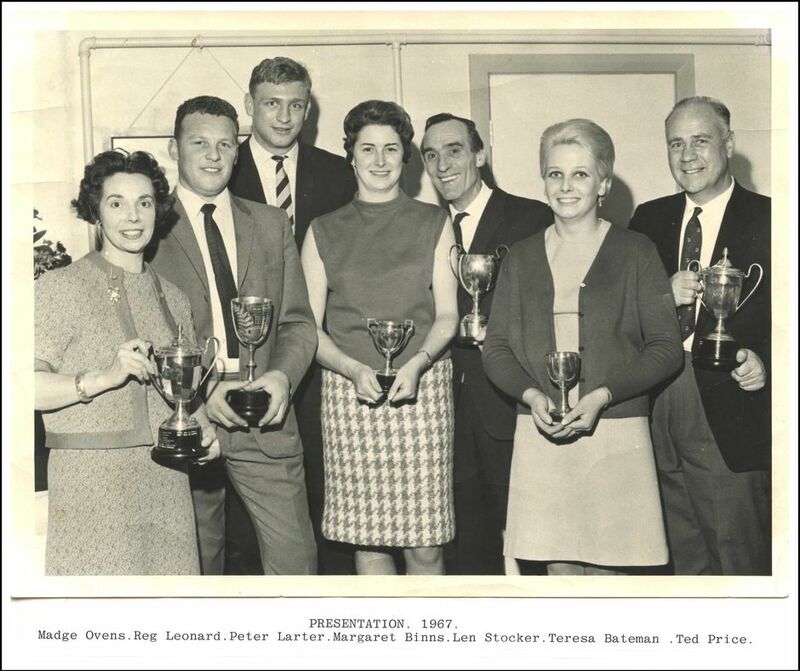 In 1948 a list of prizes was provided for the first time, including the Barnes Bowl, Ladies Challenge Cup, PJ Trophy, 1895 Challenge Cup, Coronation Captain’s Cup, Rabbit Cup, Single Figure Cup, Top Dog Tankard and Eclectic Competition; many of these trophies are still played for today. Publicity was sent to Langtoft, Luffenham, Wittering and hotels The George, The Stamford and The Crown. 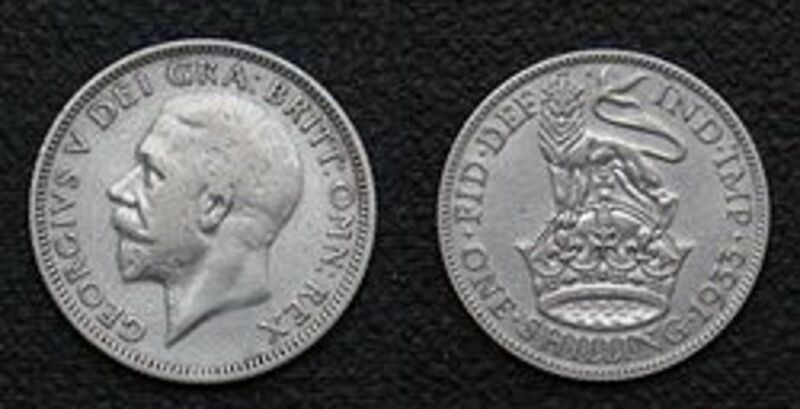 The club repeatedly endured financial difficulties over the course of the 1950s, first noted in 1954 when the balance sheet showed a deficit of £130. There were a number of repairs badly needed to the club house, its roof and lockers. 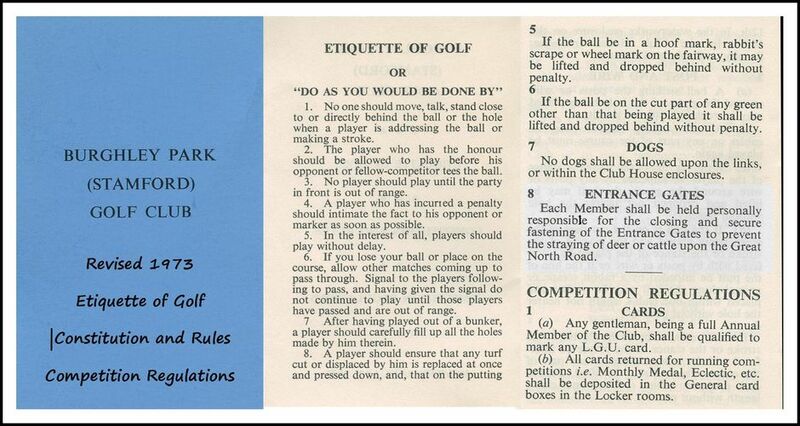 In 1958 the financial position threatened to close the club, and it was agreed to reduce the 18 hole course to nine holes with a subscription of £7 as a temporary measure. Subscriptions were then reduced further in 1958 to attract new members. 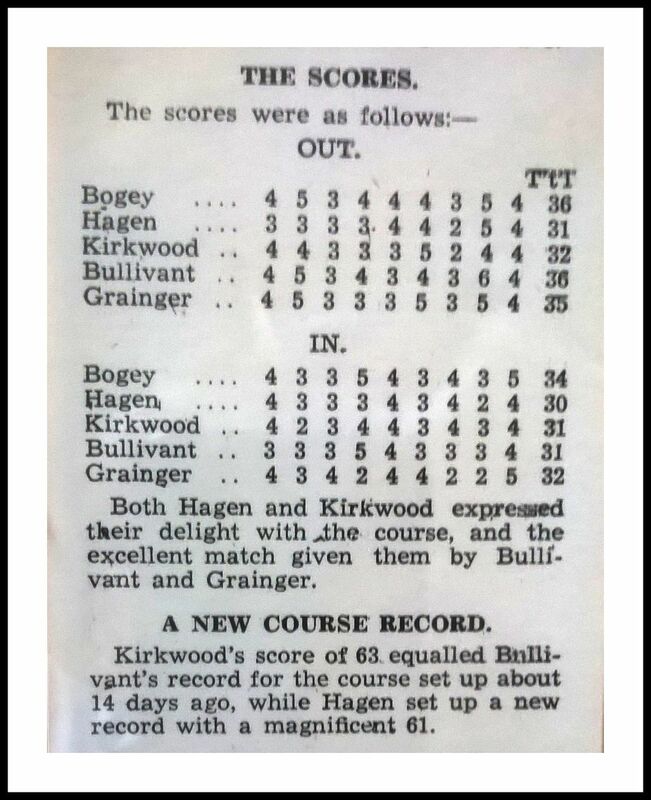 Thankfully things began to improve by the end of the decade and the course reopened all 18 holes. The club had been discussing the possible addition of a bar to its clubhouse and a licence was duly acquired. 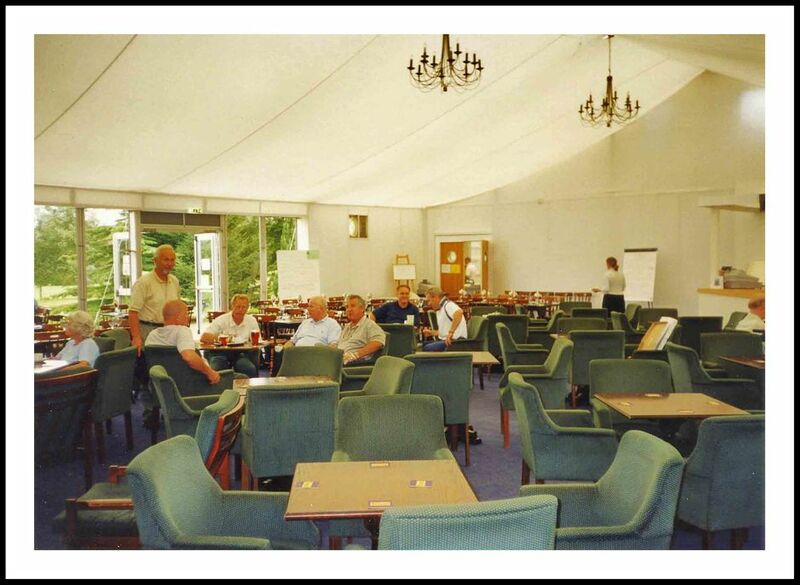 The bar was bringing in useful revenues to the club and membership had grown to 141. The club was connected to mains electricity for the first time at a cost of £40 per year. 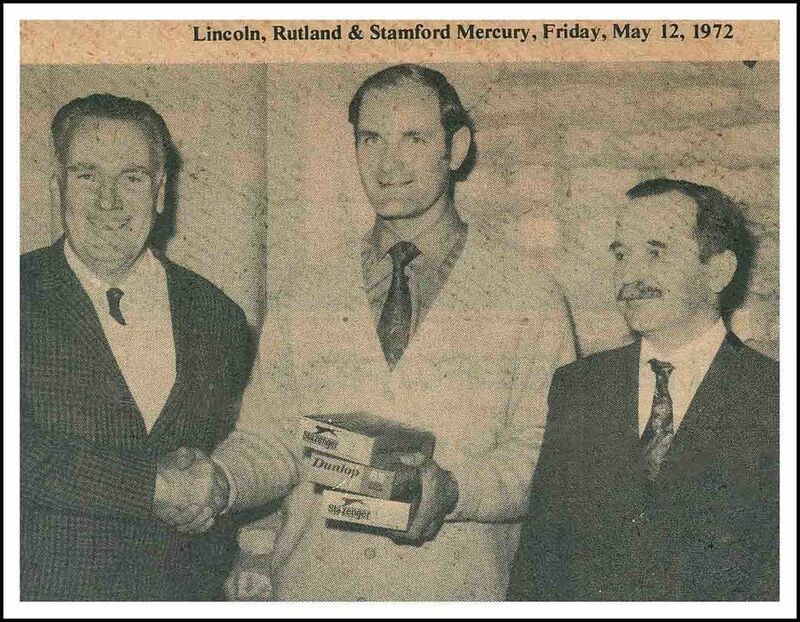 To mark Stamford’s Quincentenary celebrations, an Open Meeting was held on 4 June 1961, a competition which is still played annually. In 1962 work was progressing on a new building, but meanwhile Lord Exeter had growing concerns over the use of the club bar, that it was becoming a venue in itself and not ‘incidental to golf’. It had been noted that the lights were still on past midnight on occasion. A meeting between the committee and Lord Exeter agreed that the bar would remain, but close at the proper time. By 1964 the club’s financial situation was finally looking healthy, with more than £1,200 now in the bank and almost 200 members. While looking for accommodation for a new greenkeeper, the club purchased a house at No.1 Pleasant Place, Water Furlong for £1,050. After discussions spanning many years, the club gained a connection to the water main. The club continued to grow and in 1971 it was agreed to limit membership for the first time, to a total of 520: 400 gentlemen, 60 ladies and 60 juniors. A more strategic approach to the club’s management began to emerge, with a greater focus on the long-term future of the club. 1971 also saw a programme of work to reshape the greens and fairways, and the arrival of Mr Glenn Davies as professional. Glenn was an established professional who had worked in numerous clubs in the UK, Germany and Canada. He remained with the club for over 40 years, retiring in 2010. 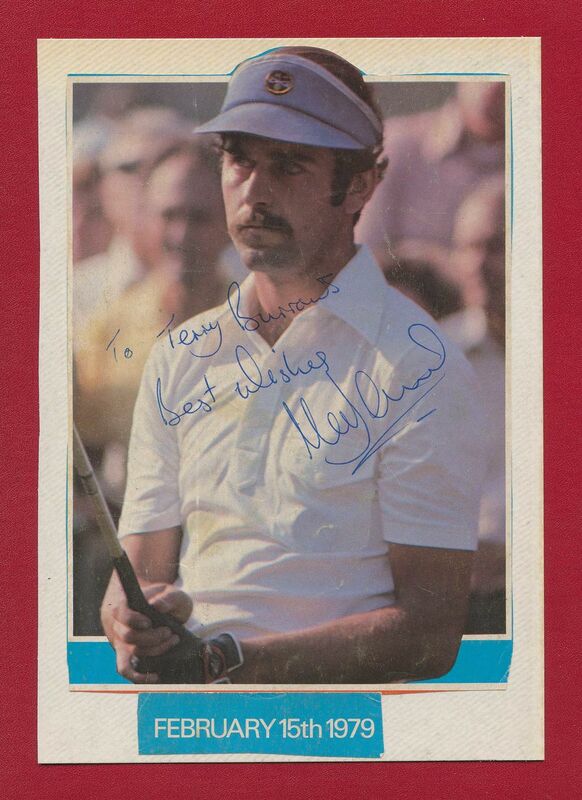 Records from 1971 also mention the confirmation of a 2 handicap for Mark James, who went on to become a professional golfer and Ryder Cup regular. 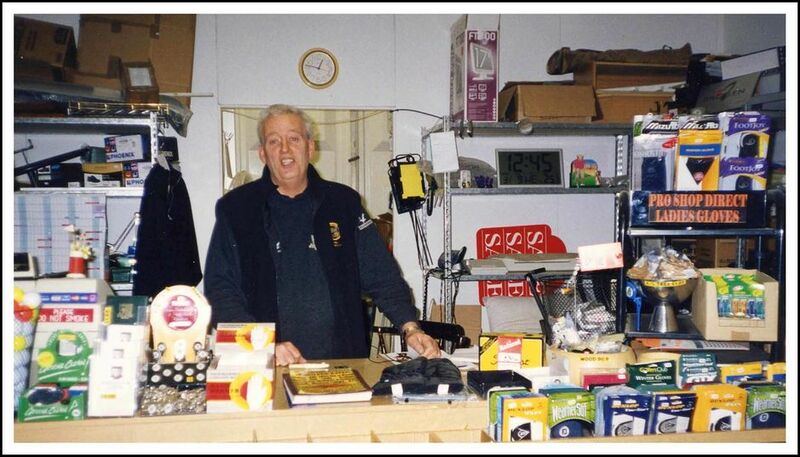 In 1973 Glenn Davies requested an extension to his shop at the club, in response to which a committee was set up to create a long-term financial plan. James also reached the final of the British Open Amateur Championship at Hoylake the following week. 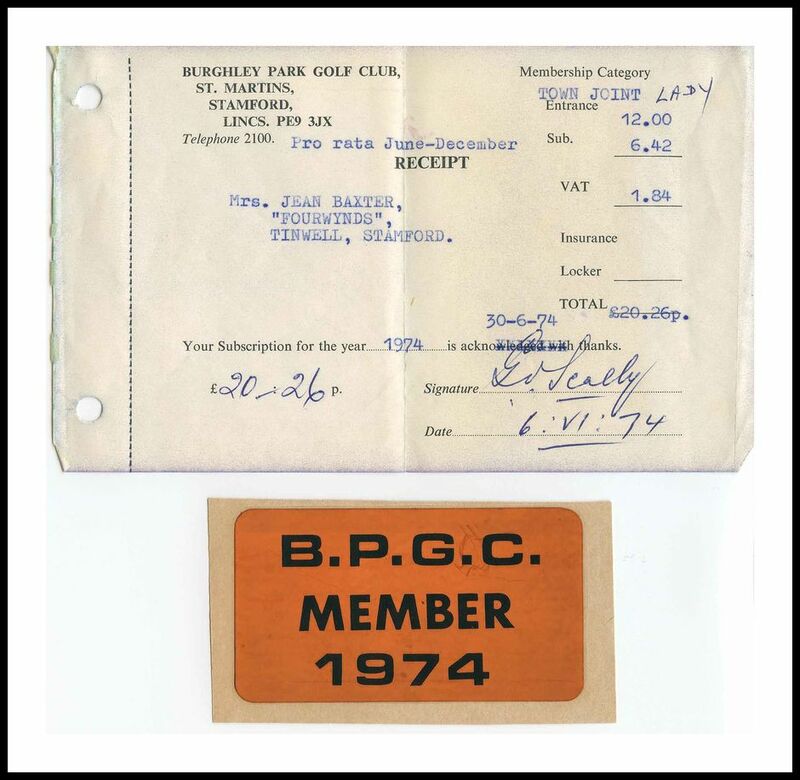 In November 1975 he notified his intention to become a professional golfer, requesting the courtesy of the Burghley Park course. 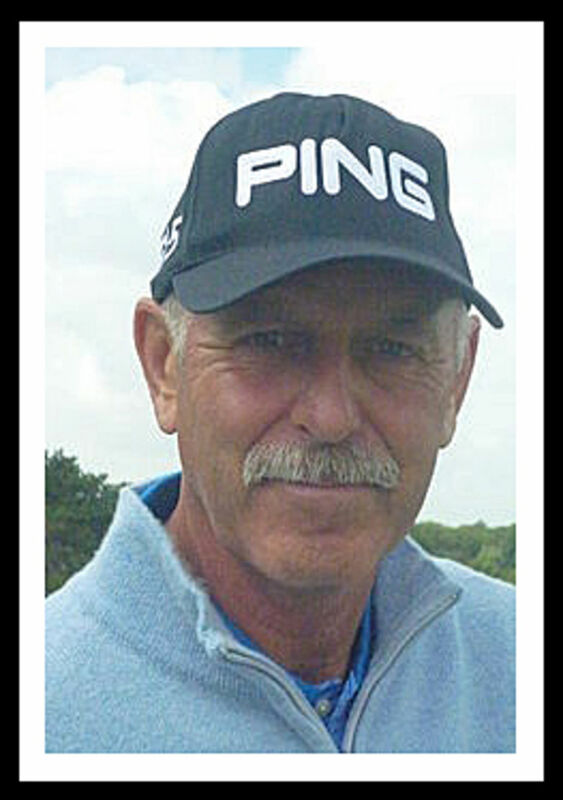 He later was retained as the Club’s Tournament Professional until 1980. Other club members were highlighted for their achievements in 1976: John Cross leading Cambridge University to one of their best-ever seasons supported by Richard Palmer, Patrick Bolton being Captain of Golf at Surrey University, and three members invited to County trial: Ken Armstrong, Tony Bisset and Ian Yarham). Once again, the improvement of club facilities were a feature, with a restructuring project beginning in 1975 and finally completed in 1979. By now club membership had reached 800. The club began the 1980s in a strong financial position. 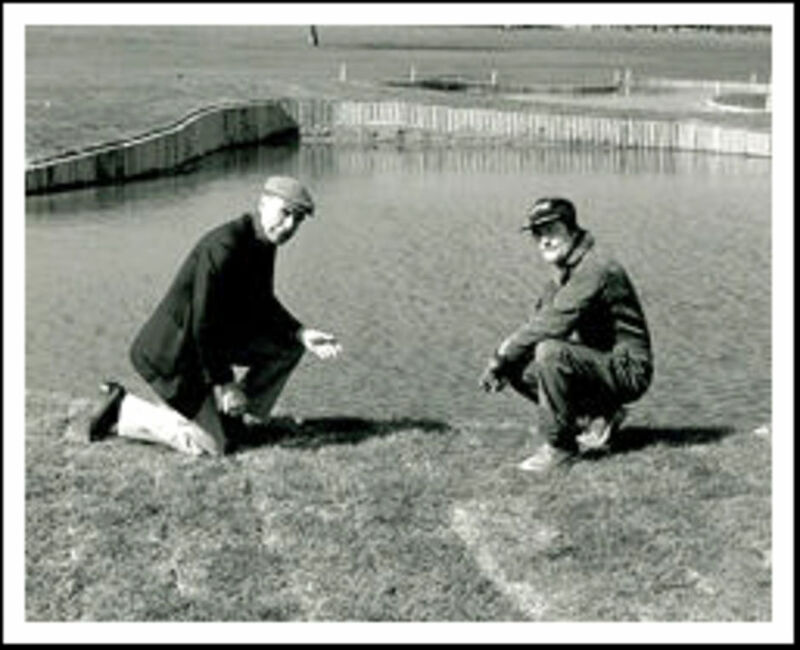 The appointment of David Salisbury as Head Greenkeeper, a new role within the club, heralded a period of course improvement with tree planting, greenside bunkers and ponds. Lord Exeter stood down as President of the club, with his daughter Lady Victoria Leatham taking up this role in 1984. 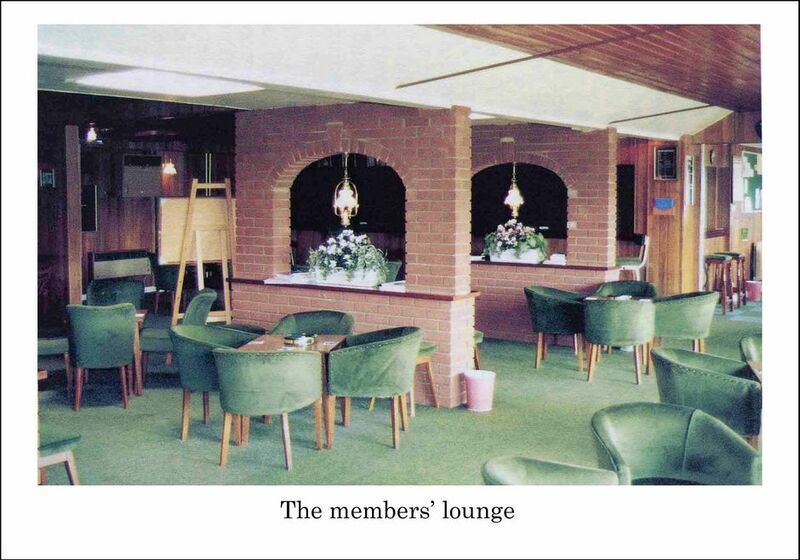 In 1981 another period of renovation began with a new bar, relocation of the Secretary’s office, an extension to the lounge and a new 19th hole bar and Committee room costing around £6,000. Further improvements included upgrading the kitchen, greenkeepers' buildings, pro shop, car park and roadways. After decades of members’ consternation, not to mention soiled footwear, it was finally agreed with a local farmer, for a fee of £3000, that sheep would no longer graze the fairways. By the same token, the greens were no longer surrounded by electric fences. Members of the period will testify to the bracing effect of not stepping high enough to clear the live wires! Talking of obstacles, the telegraph poles and lines along the course perimeter and the jumps for the Saturday Pony Club (Holes 13 and 14) also disappeared. The eventual closure of the piggery by the first green also brought relief from a particularly pungent odour. The Tate & Lyle Golf Society had reached a milestone, having visited the course annually for 20 years. This was marked with a dinner and dance, and a presentation was made to two attendees who had taken part every year. Another long term relationship has been with RAF Wittering. Both British and US aircrew have enjoyed membership, often returning after postings away from the area or on retirement. Fifty year member, Jack Bowey, is one such example. A particularly fruitful period saw the USAF champion and an American Intercollegiate title holder representing the club in matches. 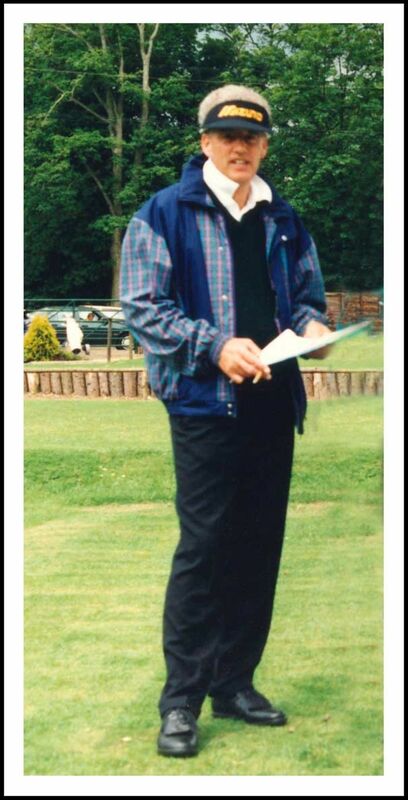 In 1986 Reg Booth, one of the longest standing members of the club (joined 1984) , marked his tenure by donating a drinking fountain which was installed at the 13th tee. 1987 saw a new club record, that of a husband and wife completing a year’s captaincy, achieved by Brian and Beryl Ashby. 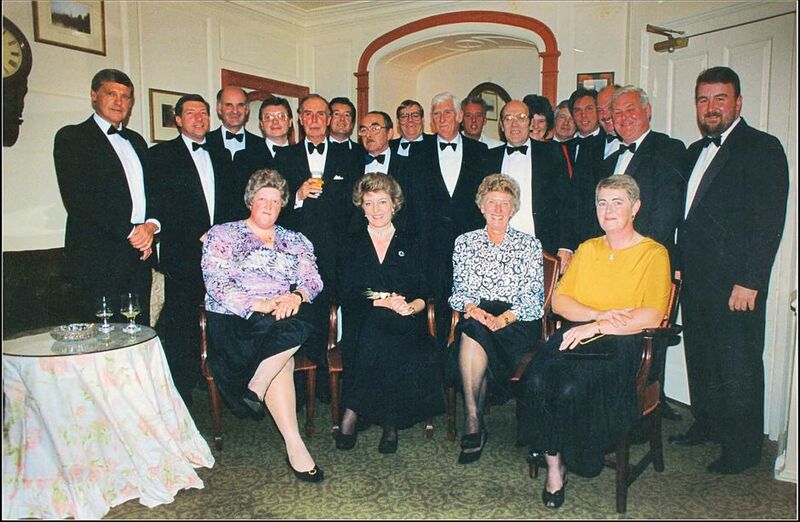 In 1989 Mr Horace Brassington gave his last report as the retiring Auditor of the Club. He highlighted the club’s achievement of a key milestone: a turnover of £250,000 – a far cry from the club’s humble beginnings a century before. The club’s centenary was a major focus during the late 1980s with a full programme of events planned for 1990. David Salisbury arrived for an interview as head greenkeeper and first impressions were not what he expected. “When I drove through the gate my first thought was that some sheep had escaped from a neighbouring field and were roaming across the course. The course was full of them,” recalled David, not knowing that at that time, as part of the Burghley Estate, the golf course was used to graze sheep, and the shepherd lived in a lodge on the edge of the golf course. 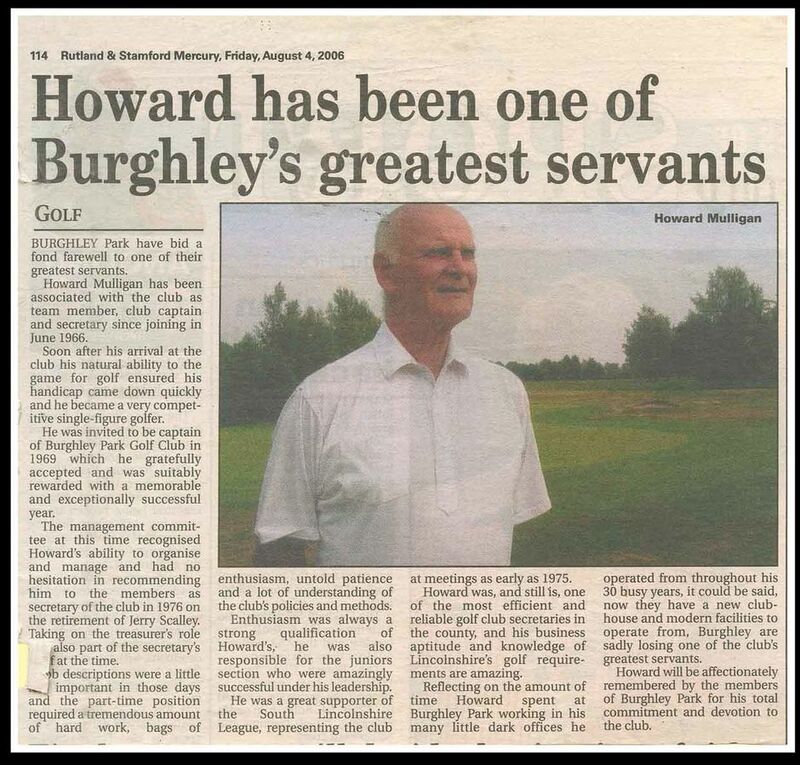 Having first been interviewed by Club Chairman, Jimmy James, father of Mark, David then faced Secretary, Howard Mulligan, who concluded the meeting by taking him out onto the golf course itself. Our centenary Captain, Ian Yarham, a Burghley Park stalwart since junior membership, hosted the celebrations. These were crowned by an exhibition match featuring Mark James. Course enhancements continued apace with further planting, bunkering and the shaping of fairways to improve definition. There was an attempt to lengthen the course by taking the 13th hole to over 200 yards and making the 14th a par five from a new back tee. Neither variation was long term. 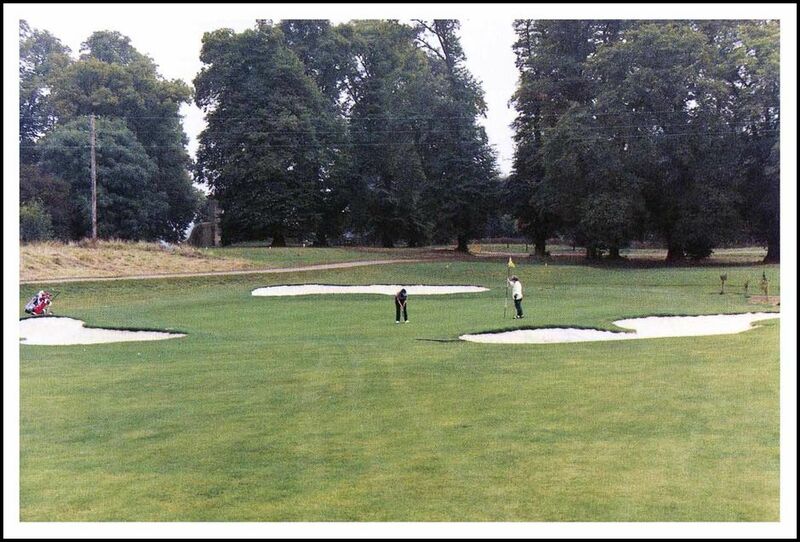 As the 1990s passed, the R & A’s prediction that some 700 new courses would be needed seemed increasingly plausible. 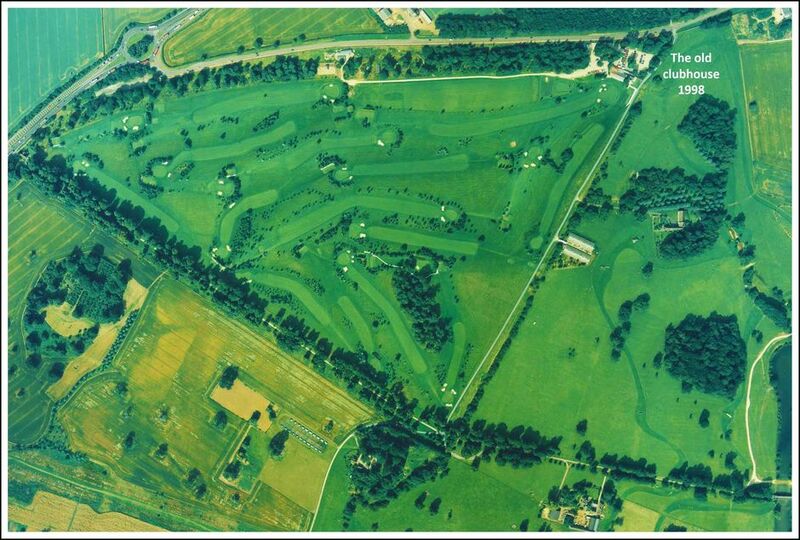 Burghley had traditionally thrived as golfers made the transition from nearby ‘pay & play’ courses to club membership. The decade saw the emergence of half a dozen new proprietary courses and the fresh challenge of seeking and retaining membership. By the millennium, the need to further boost facilities was apparent. 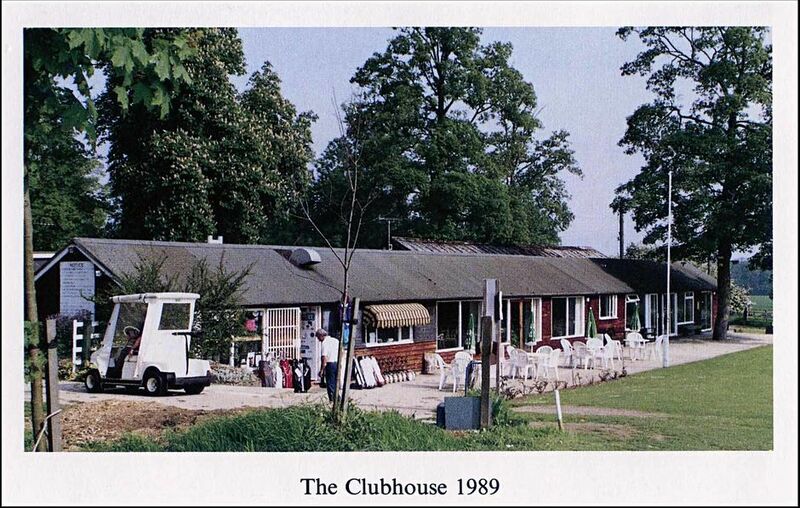 The old wooden clubhouse had been expanded and revamped as far as possible but was, literally, creaking at the seams. David Blaik, a popular member and the caretaker, would routinely put out 14 buckets to catch the leaks in rainy weather. A working party started to consider the viability of building a new, more permanent clubhouse. After surmounting a seemingly never-ending series of obstacles, work on the present building commenced in Summer 2004 with a successful completion the following Spring. During construction, members occupied what can only be described as a large marquee. With beer freezing in the pumps in winter and the whip-cracking reports from the canvas walls on windy days, conditions were challenging. Nevertheless, with changing rooms, kitchen and pro shop, life continued pretty much as usual. Members returned to the new stone clubhouse to be pleasantly impressed with much improved accommodation. One could not conclude this review without mention of the wild life. If you are up with the lark to play, you will certainly have spotted hares, muntjac deer, foxes, possibly even a badger or two. The sky has been enriched with the arrival of red kites, buzzards not to mention the more obvious pheasants, geese or partridges. Sadly, the green woodpecker which lived by the fourth fairway no longer seems to be with us. This brings us to the present day. 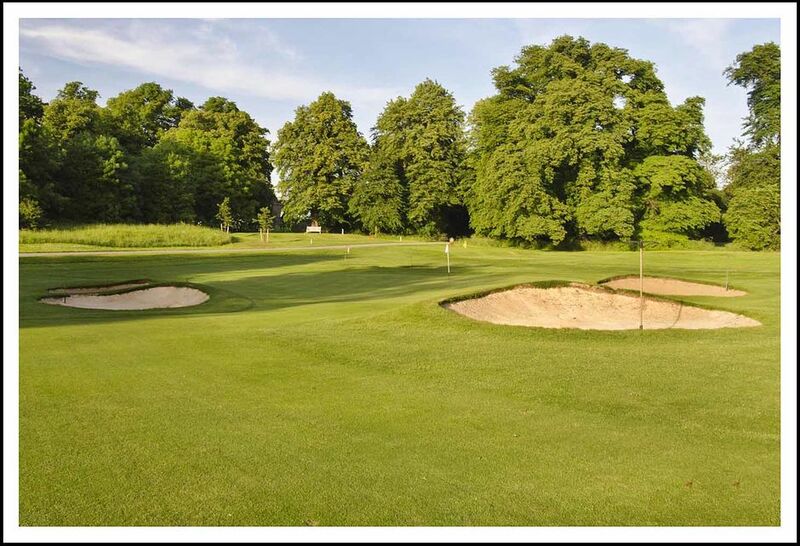 We enjoy a beautiful tree-lined parkland course in good year-round condition, extensive academy and practice areas and a modern, airy club building. Our thriving membership offers a warm welcome to all. We look forward to our 150 Anniversary!